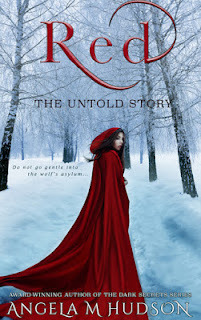 Source: This book was given to me by YA Bound Book tours in exchange for an honest review. Geo and Dmitri are the princes of Tybiria. Though Geo is the obvious athlete, it's bookish Dmitri that yields the credit - and consequences - for slaying a foreign prince. But whose arrow really struck the boy? 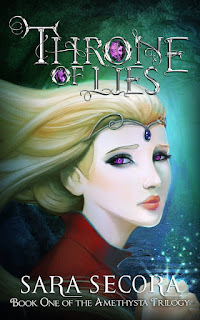 Luccia Camerlane is the Baron of Backshore’s enigmatic daughter...as well as Prince Geo’s secret mistress…until she learns of her disastrous betrothal to none other than his brother, Prince Dmitri. 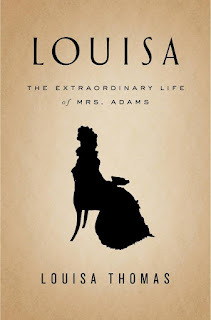 Synopsis: An intimate portrait of Louisa Catherine Adams, the wife of John Quincy Adams, who witnessed firsthand the greatest transformations of her time. Born in London to an American father and a British mother on the eve of the Revolutionary War, Louisa Catherine Johnson was raised in circumstances very different from the New England upbringing of the future president John Quincy Adams, whose life had been dedicated to public service from the earliest age. And yet John Quincy fell in love with her, almost despite himself. Their often tempestuous but deeply close marriage lasted half a century. Today, I have the pleasure to interview Garrett Calcaterra. 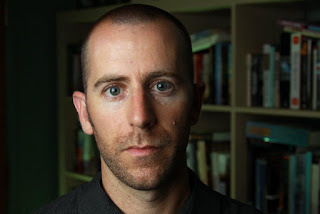 He is the author of the Dreamwielder Chronicles series. I have read and reviewed his first novel, Dreamwielder, and have immensely enjoyed it! I encourage you to read it, for you will not be disappointed! I hope this interview will give you some insight into his writing and his novels. I thank Mr. Calcaterra for generously taking the time to let me interview him. 1. What inspired you to write the Dreamwielder Chronicles? Synopsis: Aphrodite, Goddess of Love, still walks the modern world. No longer thronged by worshipers, Aphrodite heals the bodies and souls of the men she touches, one man, one night, at a time. But not everyone thinks of her as a long-dead myth. Someone is stalking her. The men who have hunted her kind as witches for centuries have passed their hatred on to their sons. Source: This book was given to me by the author in exchange for an honest review. 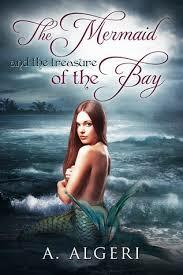 Synopsis:The Mermaid and the Treasure of the Bay is the first adventure of Brinn, a young woman who had recently returned to her homeland, Nyar Kaad, after years of being away. For her mother and sister it’s only supposed to be an episodic stay, because their intention is to return to the capital, Adaria, held by both aristocrats, by then, to be their home. Brinn, however, isn’t interested in living in the golden cage of high society and aspires to a different existence, that will push her to oppose the decisions of her family and to pursue a destiny according to her own wishes. A powerful new YA novel by award-winning dark romance author AM Hudson. Once every twenty years, pack alpha Luther takes a new wife. On the day of Selection, Red is chosen. Just as her family always planned. Just as she always planned. Until she met Alex Plain. Alex took Red to worlds she never imagined, where the ordinary is seen as magical, and the upright is abstract. With the help of this new friendship, Red begins to see a future for herself outside of the pack. But, unfortunately, Alex Plain came along too late. Summary: Princess Adriana is about to leave the Kingdom of Ayrden on the Journey of her sixteenth year. 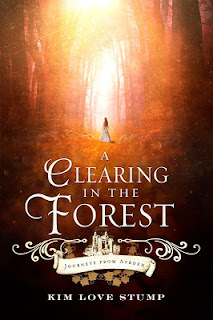 If she is ever to ascend to the throne, Adriana must go—alone and unarmed—into the unknown. She’s been trained and gifted for the journey, just like all the royals who preceded her—even the ones who never returned. Adriana leaves Ayrden on her brother’s black stallion the day after her birthday celebration, with bravery in her heart and hopes for a quick return. When three paths emerge, one of grass, one of gold, and one of gemstones, she chooses the pragmatic path of grass. Although it seems safe, and the landscape familiar, she soon finds she will have to overcome nearly impossible challenges. 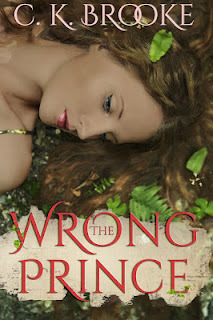 Ultimately, an unexpected friendship not only changes Adriana, but the very kingdom she someday hopes to rule. The question is, will the friendship turn into everlasting love? When Susie dances with Blood in Simon’s speakeasy, she discovers there’s a new world beyond the things she owns and the things she’s allowed to do. Blood values her thoughts, her feelings and offers his respect for her as a person. So different from the luxury Simon has offered her. The exciting club nights and the new freedom of dressing and doing as she pleases. But Susie’s still Simon’s woman, and he won’t allow her to forget it.